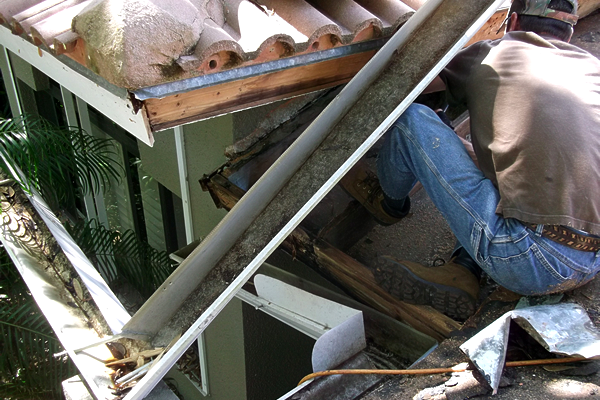 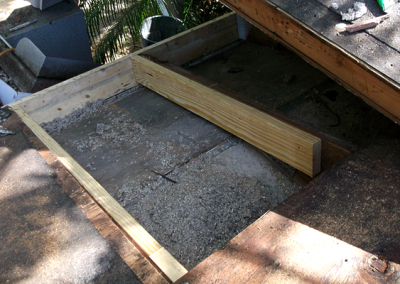 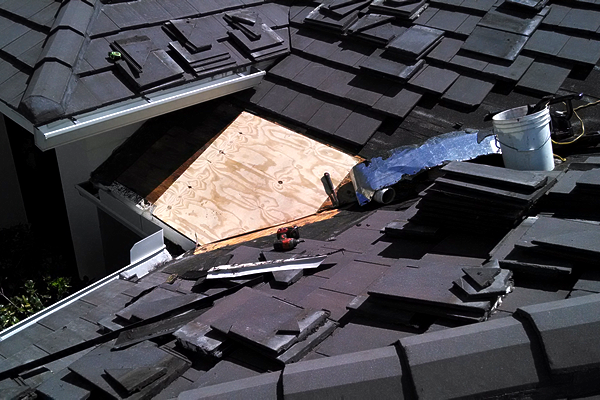 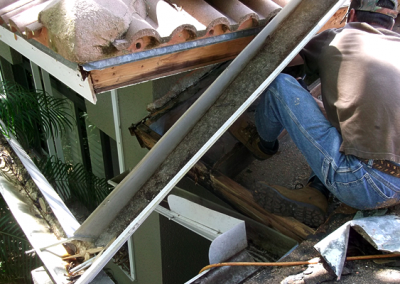 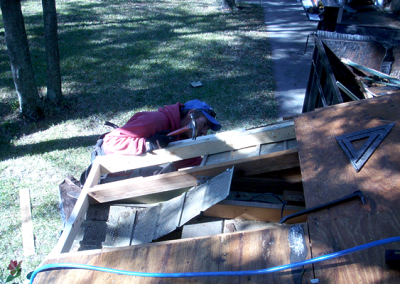 Rebuilding a roof eave soffit is not something your average carpenter can handle. 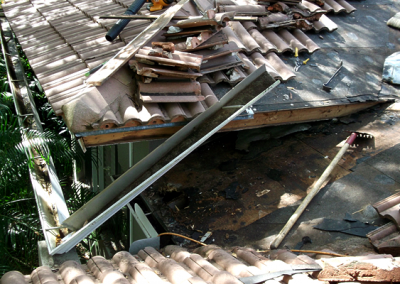 Original construction imperfections and settling occur on all homes causing them to be unlevel and out of square. 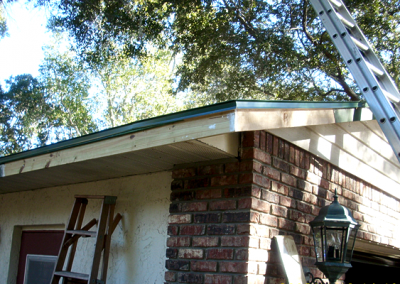 The retro-fit carpenter must be especially skilled and experienced to perfectly join two areas of the imperfect structure; so that the fascia and roof appear level and square. 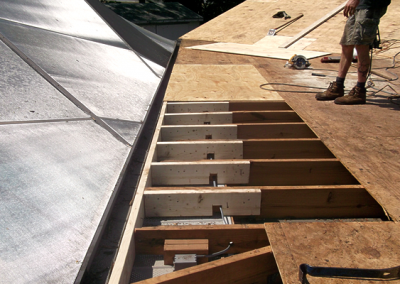 Since you can’t count on a square or level to be accurate with retrofit carpentry, only experience can make the difference. 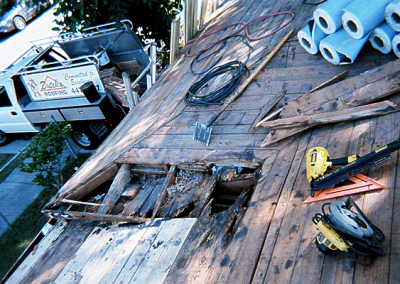 We have the professional tradesman and carpenters that efficiently repair the most complex wood repairs. 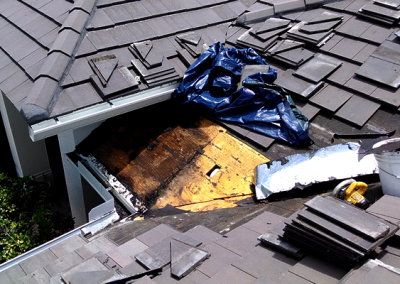 The first sign of a potential roof leak is evidence of yellow or brown stains usually at the perimeter edge of the roof at the soffit and fascia areas. 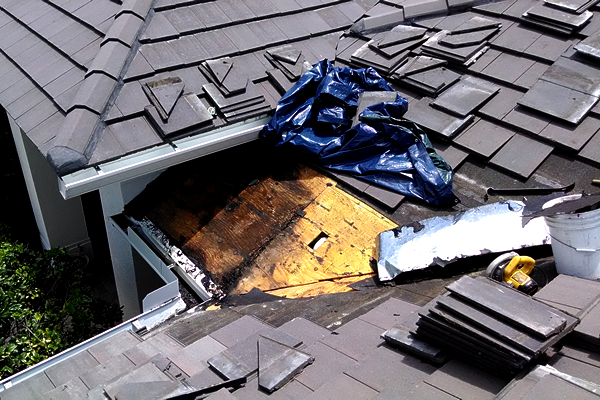 Although roof leaks are often the cause of rotten wood damage on the perimeter edge of a roof, they are not always the reason. 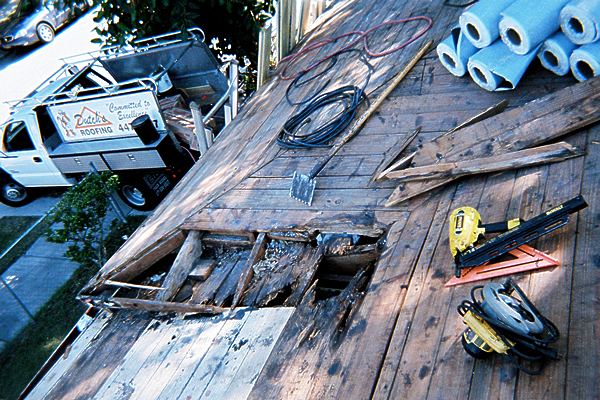 Guttering and down spouts are often the cause for rotten wood. 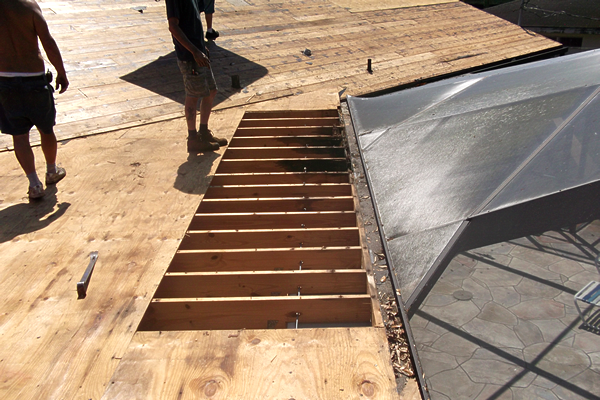 The massive volume of water, combined with inadequate gutter size and downspouts cause the rainwater to back up under the edge of the roof. 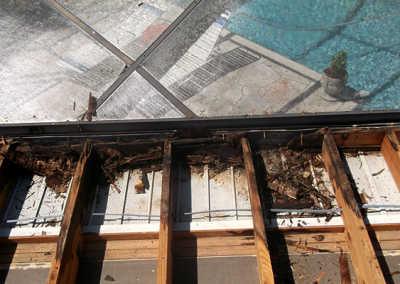 It’s common to find rotten fascia at the Pool Lanai areas of Florida homes due to the guttering system design challenges. 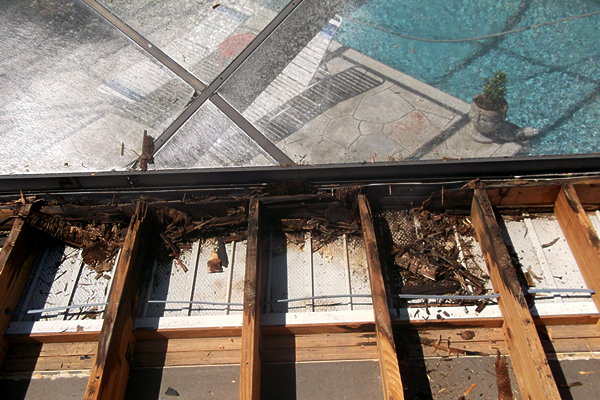 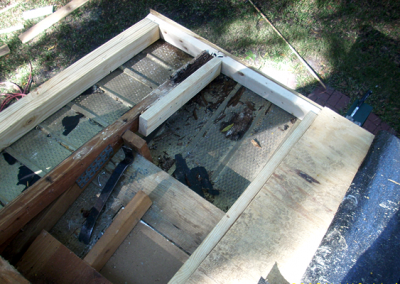 The area where the roof, gutter and screen enclosure join is a particularly vulnerable and leak prone area. 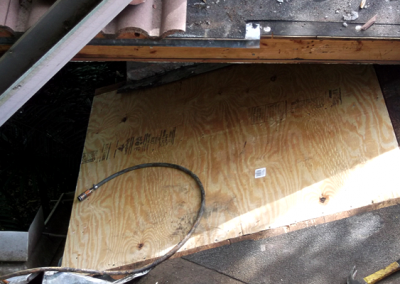 This is especially the case on larger homes where you typically find only two down spouts for 80ft. 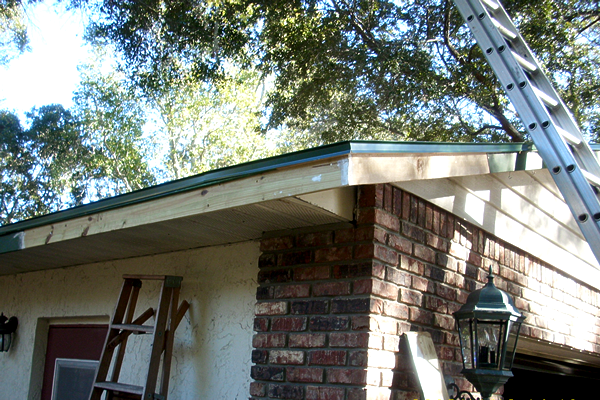 of guttering. 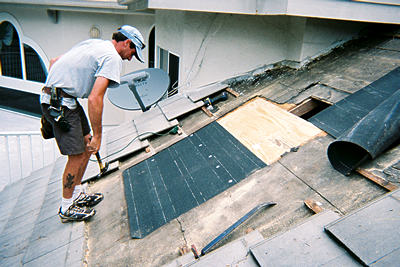 This is compounded by the water volume created by the entire back half of the roof collecting water to dump into the gutter. 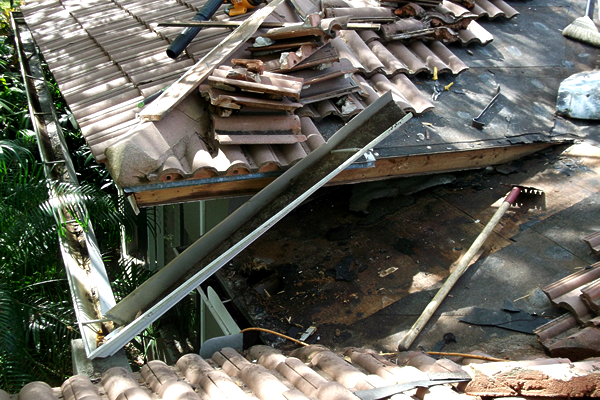 Homeowners agree it is cumbersome and ugly to have a down spout in the middle of the lanai patio, so were all left with a tough choice and without a good solution. to then waterproof the wood with a quality latex paint and brush applied application. Cedar and cypress wood are a good choice for fascia because they are bug and termite resistant. These woods types take special care because they are prone to cracking and splitting. 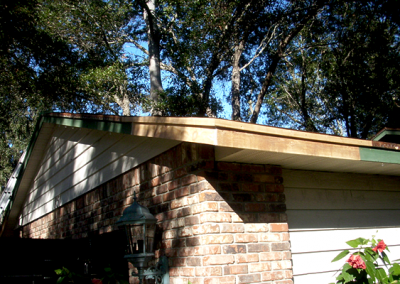 California Redwood is the finest choice for fascia and soffit wood. 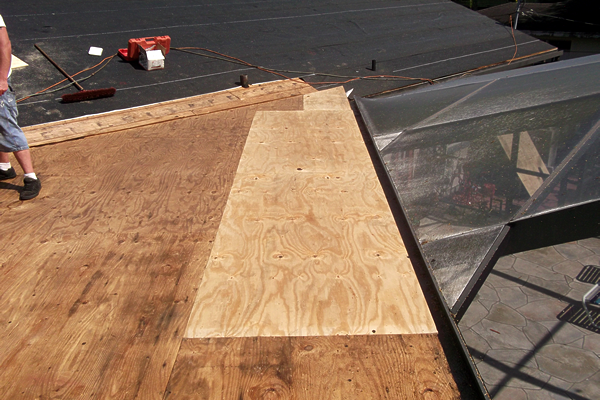 It’s also expensive, and it is rare to see it on roofs any longer; but Redwood is available and it’s the best. 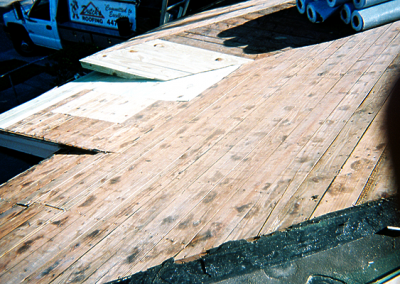 When Dutch’s Roofing repairs or replaces roofs we always match the original and existing wood type and size that is already on the home. The exception is we always upgrade to Four ply CDX plywood instead of particle board when those instances occur. 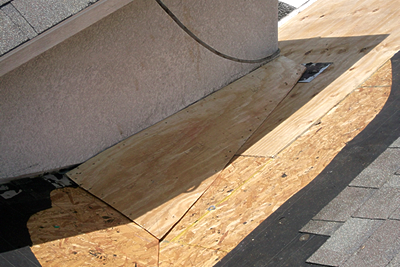 Generally most homes in the region have Cedar or Pine fascia. The typical roof deck is Plywood or 1 x 12 plank decking. 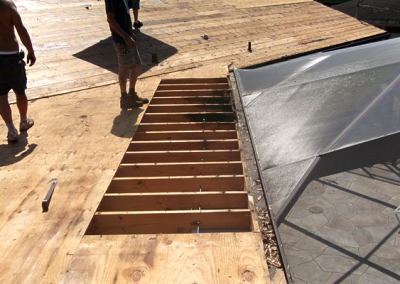 The rafters that support the roof are usually 2 x 4 or 2 x 6 yellow pine. 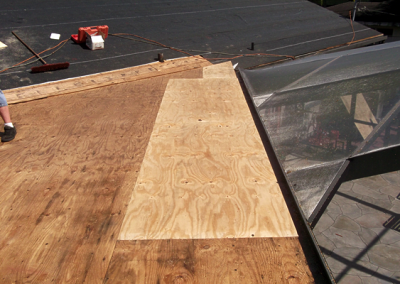 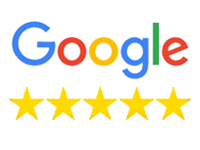 Regardless of the age home or type of wood, Dutch’s Roofing has you covered. 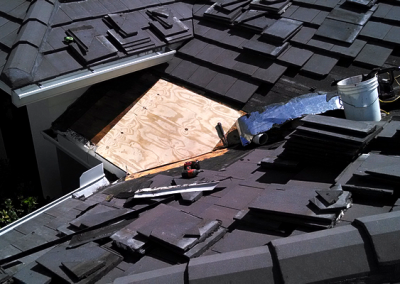 You will meet with the owner and licensed roofing contractor, not a salesman. 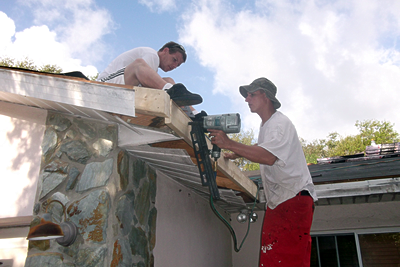 You will watch and be impressed with our talented crew’s ability and skills.